With the onset of the New Year, we are back with yet another new & amazing Launchpad brands. Get ready to give yourself & your home a dazzling look with vivid accessories by Moksha Shots, Soulscapes & Full Circle. 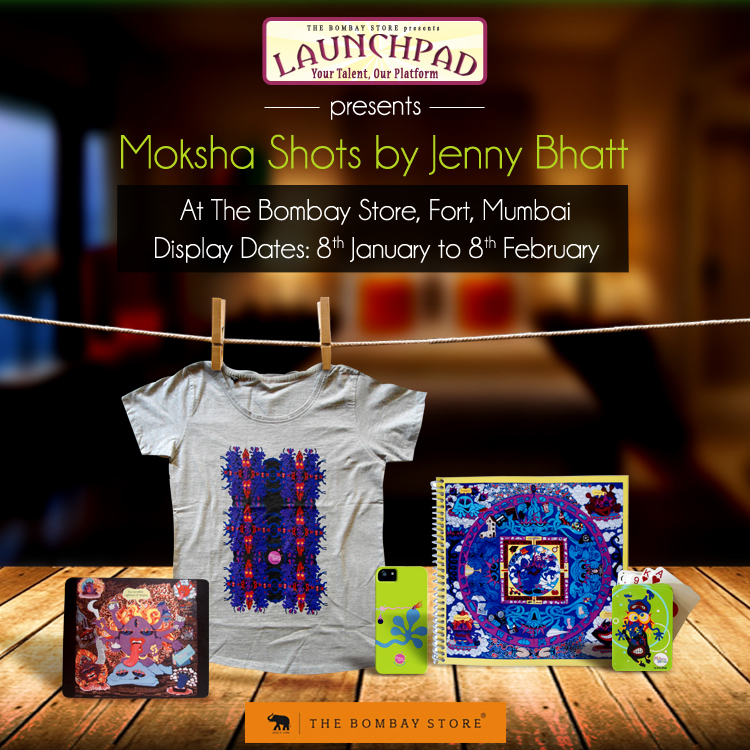 Moksha Shots is a lifestyle brand of Pop Art products based on Jenny Bhatt’s Visual Art – Moksha Shots. The brands product range consists of limited edition T-shirts, iPhone cases, Art Toys, Notebooks, Playing Cards, Coasters and Mouse pads. Say hello to a soulful lifestyle & infuse positive energy in your home with Soulscapes. 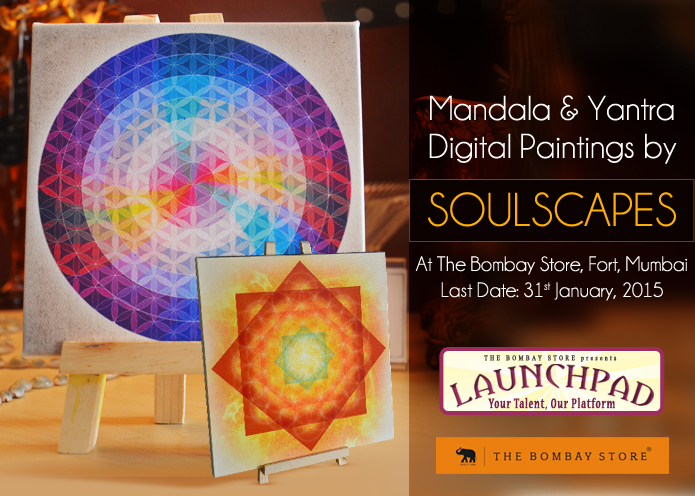 The product range of Soulscapes consists of Digital Mandala & Yantra paintings; lifestyle products like cushion cases, meditation mats, bags & coasters; and paper products in the form of books & cards. 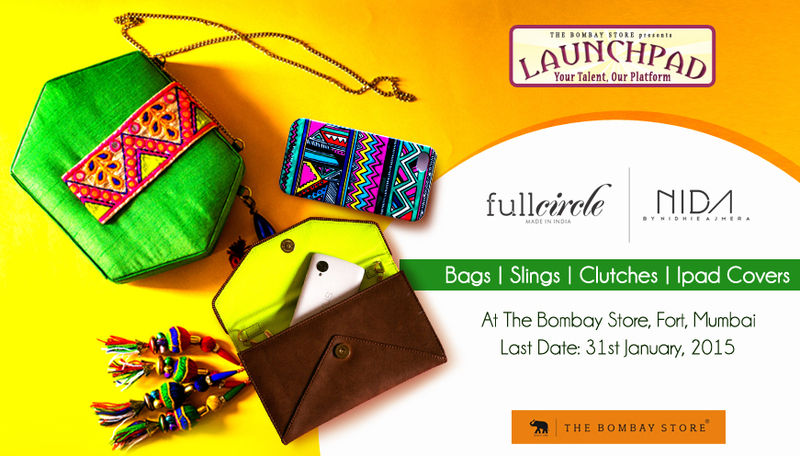 Full Circle is an autonomous handbag & accessories label based in Mumbai. It is created out of the love for all things fun, chic & elegant, particularly for all those who are youthful & fearless to experiment. Atypical shapes, vibrant fabrics, wearability & drawing inspirations from local people of India are all quintessentially FullCircle. Currently the range includes bags, slings, clutches & ipad covers. Don’t give it a second thought! Visit The Bombay Store now to witness the diverse product range by these brands.